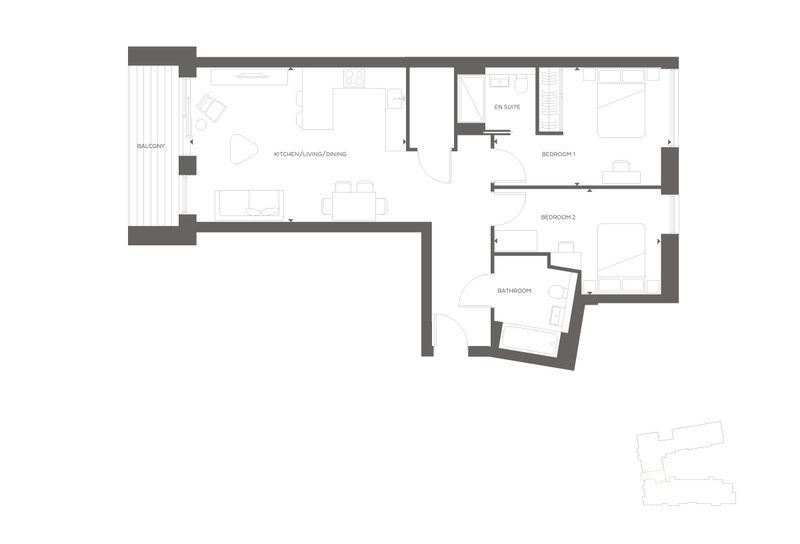 Apartment 2-17 is a stunning 2 bedroom 2-bathroom property with balcony in luxury development: The Taper Building. This raised 1st floor apartment boasts floor to ceiling windows, underfloor heating and comfort cooling AC. The Master bedroom benefits from comfort cooling and en-suite bathroom. Bathrooms come equipped with digital showers and plenty of storage. The apartment also boasts large utility/storage room fitted with washer/dryer.